And you don’t have to worry about knocking them over. Everyone should own a good set of wine glasses. Whether you enjoy a glass by yourself every now and then or often host and entertain guests, they’re a basic dining essential worth investing in. Fortunately, Amazon shoppers have done the research for us and found a set that’s worthy of even your finest wine, but without the high price tag. Over 1,000 customers have deemed the JoyJolt Spirits Stemless Wine Glasses Set ($13; amazon.com) one of the best. The stout 15-ounce glasses have a near-perfect rating from shoppers who love how elegant, easy to clean, and durable they are. 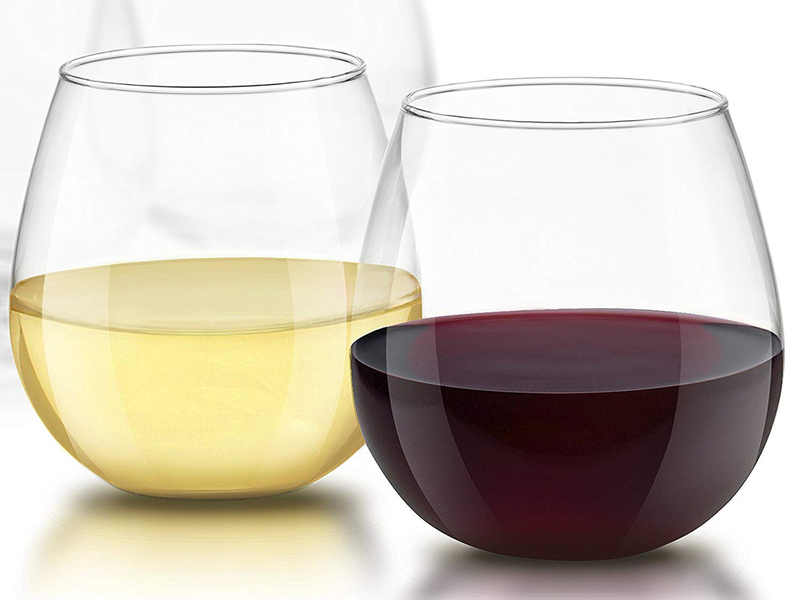 JoyJolt Spirits boasts that the wine glasses are shatter-resistant, dishwasher-safe, and that the bowl-shaped design can actually enhance the flavor of your wine. Plus, shoppers love that the set of four comes at such a low price point for such high-quality glasses. Reviewers also love that the JoyJolt Spirits glasses are the perfect weight — they’re not too light, but also not too heavy — making it much easier to avoid knocking them over, compared to stemmed glasses. Whether you tend to break stemmed glasses, you’ve been searching for a perfect housewarming gift, or you just want to add to your collection, these stemless glasses on Amazon are a great choice.